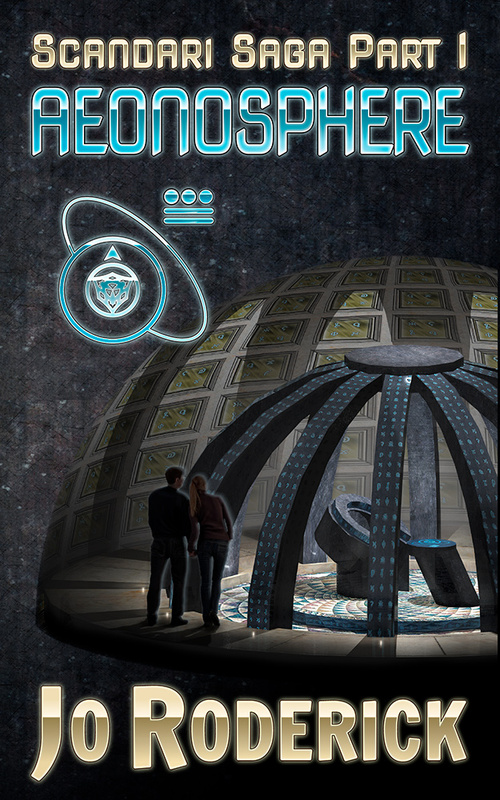 Tom Scandari and Annie Wynbergh return in a thrilling, Science Fiction series. This first adventure sees the two intrepid explorers’ team up with Mervin and Albert, in order to unleash the incredible potential of the enigmatic Aeonosphere, which lies hidden, below the city. Tom travels back through time to prevent devastating changes, masterminded by a greedy consortium based in the city of Johannesburg. Will Tom stop the madman, prevent the earth shattering consequences, and overcome the twist of betrayal? Travel in time with our heroes as they flee through the old mining tunnels, dodge an assassin, and make several daring escapes. A spectacular trip, back to 1941, takes the reader on a personal tour of the ‘City of Gold’, in all its glory. This is a complete novel, standing on its own, although it forms part of a projected three part series. The three books will reveal the story of Tom’s ancestral roots, and the mysteries of the Aeonosphere. Tom and Annie were first introduced in the novel, Six For Seven. If you are planning to read both, read Six For Seven first, as it does give additional insight and background to the characters. Having read and enjoyed Jo Roderick’s Six For Seven, I was intrigued by this experiment: take the characters from an absorbing dinner-party set piece and put them in the middle of a high-stakes thriller with sci-fi overtones. 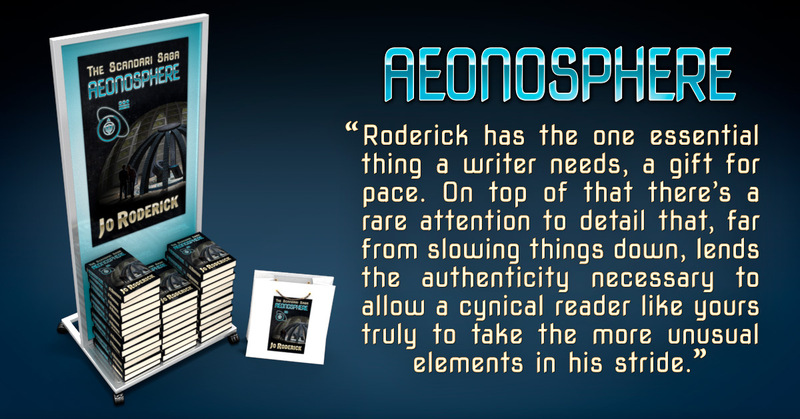 Before the first chapter was out intrigued was replaced by hooked: Roderick has the one essential thing a writer in this area needs, a gift for pace. On top of that there’s a rare attention to detail that, far from slowing things down, lends the authenticity necessary to allow a cynical reader like yours truly to take the more unusual elements in his stride. 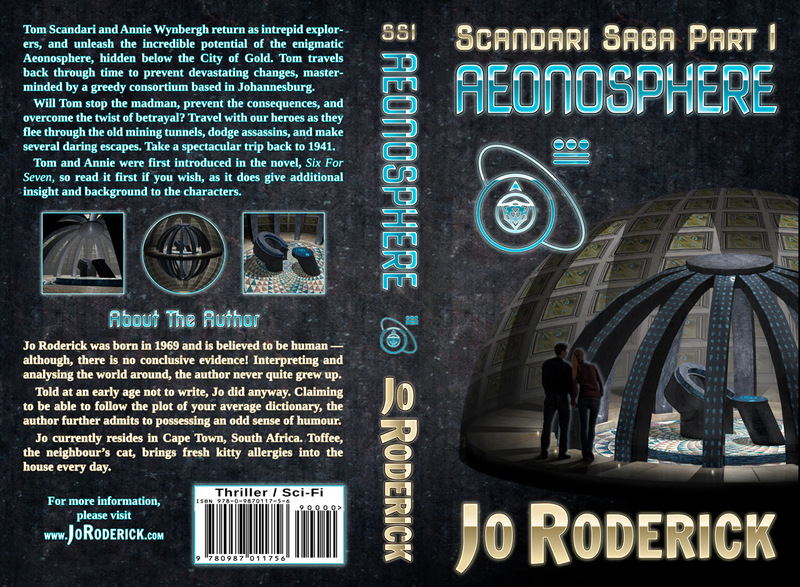 Although billed as the first of a series, Aeonosphere works perfectly as a stand-alone novel (to which a reading of Six For Seven would add some welcome nuance); but if Roderick plans on adding to Tom Scandari’s exploits, at least one grateful reader will be back for more. This is the second book that I have read by this author. The first one Six for Seven introduces you to some of the characters you meet in Aeonsphere in a witty around the table dinner party. This book took Tom Scandari (I have a secret crush on him) from the dinner table and sent him on some hair-raising adventures. This author gives you enough at all times to ensure you go back for more. It explores the love between him and Annie which is never in doubt but you do wonder whether they will ever give in to temptation. This has a little bit of everything from the dashing young man, the independent successful woman, the bad man you wants to … well you will have to read it yourself to find that out. It has adventure and love and humour. 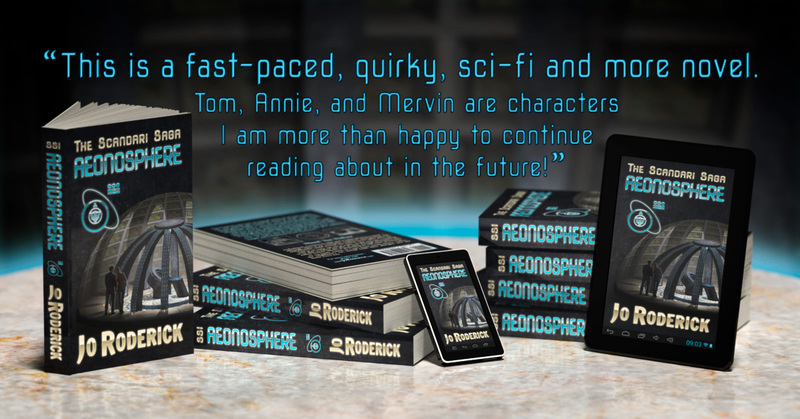 Click Here to Read More Aeonosphere Reviews. 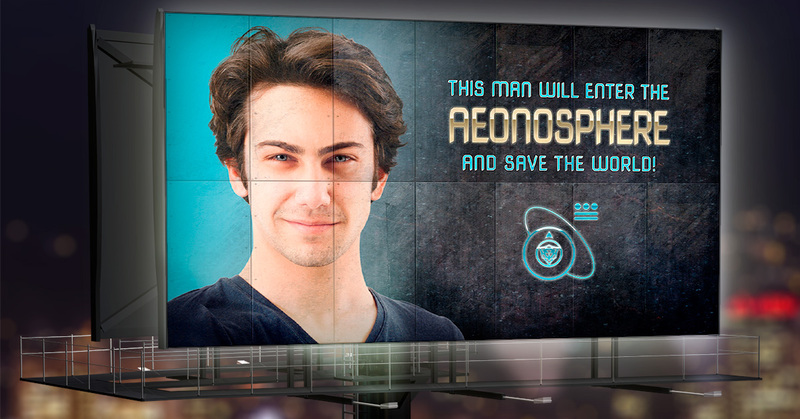 Click Here to View More Aeonosphere Press Kit Images. Enjoy the virtual trip on the Internet. Please bear in mind that not all sites may be functioning. It is the nature of the Internet to be ever-changing. This is the view from 111 Commissioner Street. This is as described in the book. Remember that the address 111 is fictitious and does not relate to real life. This is the general area, though. Pink Tower mentioned when getting the passports from home affairs. Saxonwold. This is where the Wynberghs live. Both books spend time in this area. Rhodes Memorial – Where Tom’s car blows up. Gold Reef City Photos. This is the place where Tom exits the mines. Great photos of shaft 14.